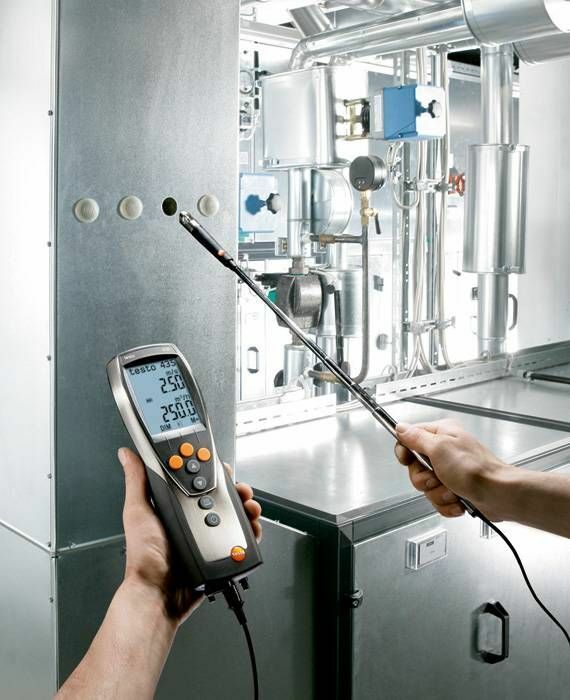 The multifunction meter allows you to carry out a variety of different measurements which enable you to inspect and adjust ventilation and air conditioning systems and check the quality of the indoor air. 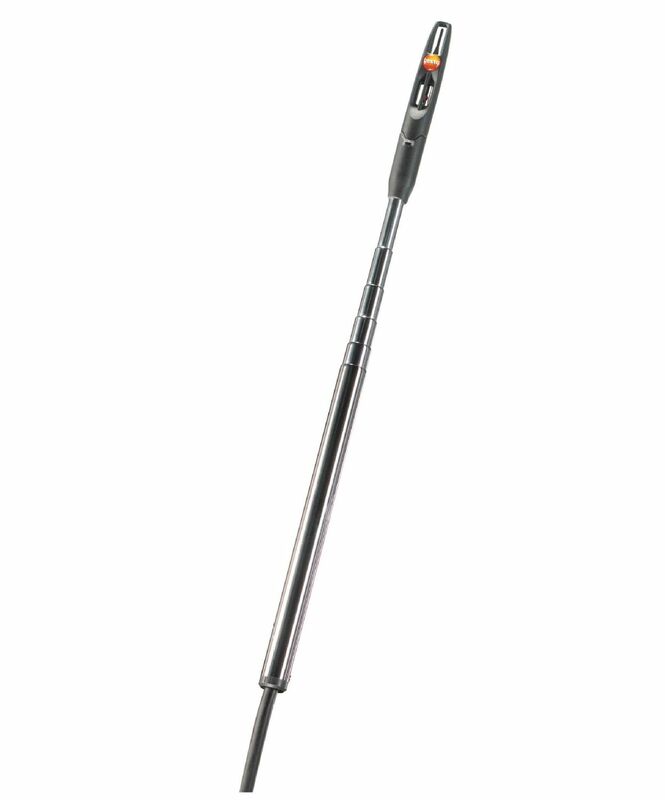 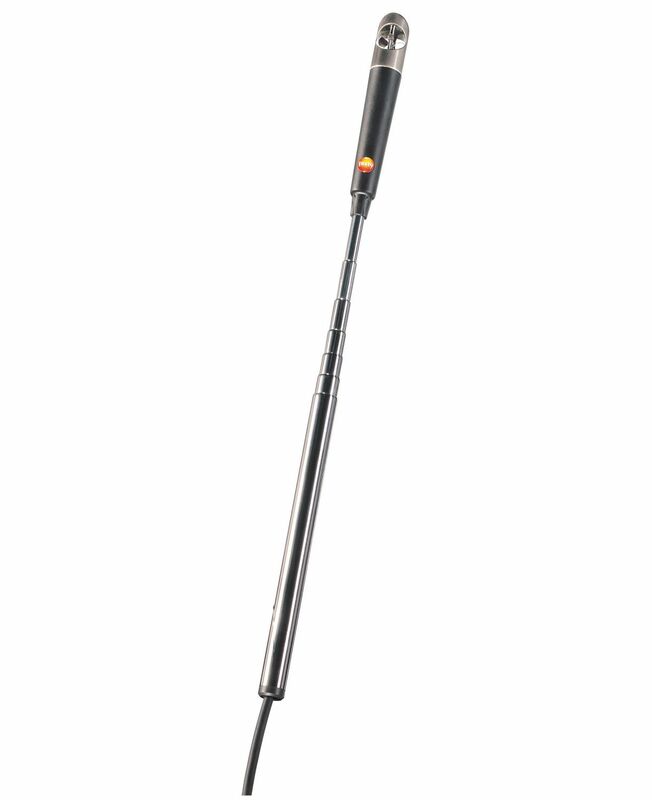 In addition to the many other functions and features which its smaller brother, the 435-2, has, the testo 435-4 also has an integrated pressure difference sensor for measurements with pitot static tube and filter monitoring. 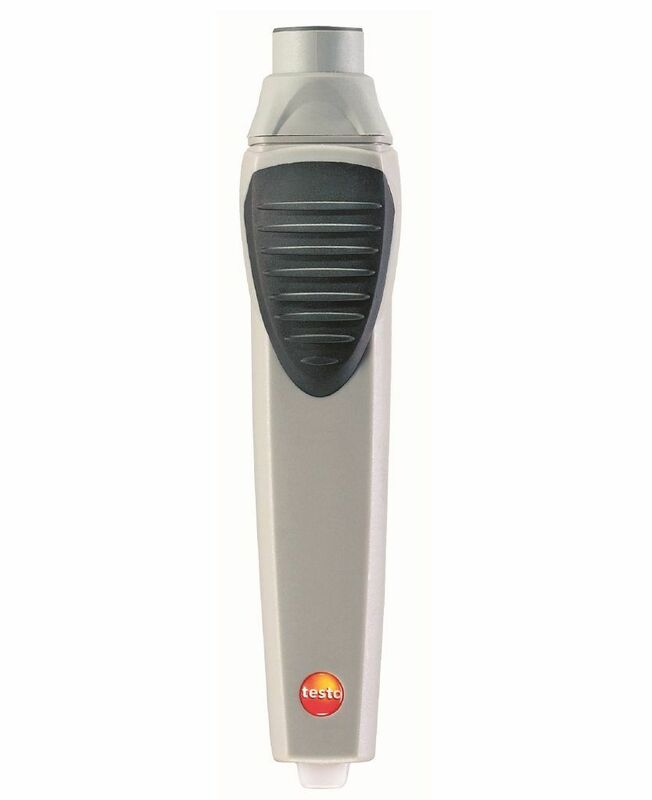 The testo 432-4 is extremely versatile and can measure a host of variables including air temperature, air flow, volumetric flow rate, humidity and lux. 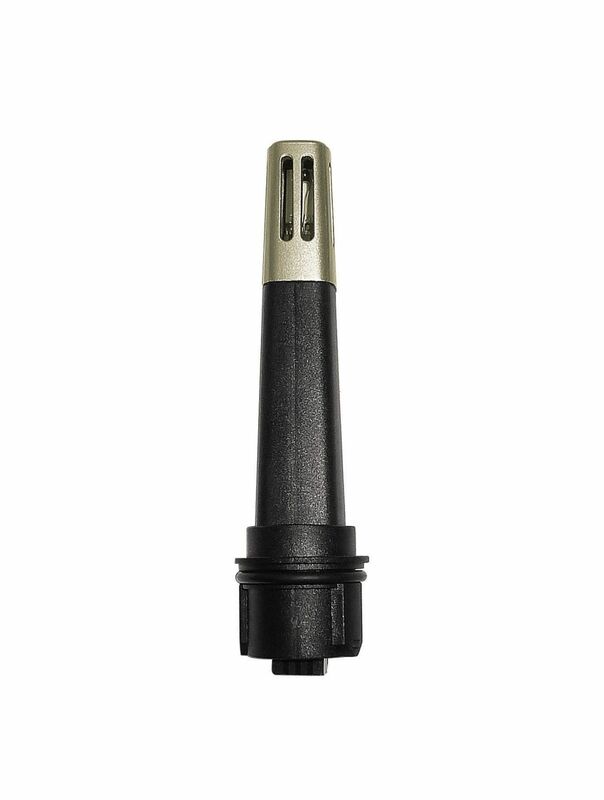 And because you know best what your multifunction meter needs to be able to do, you can configure it accordingly by connecting any one of the many optionally available sensors and probes. 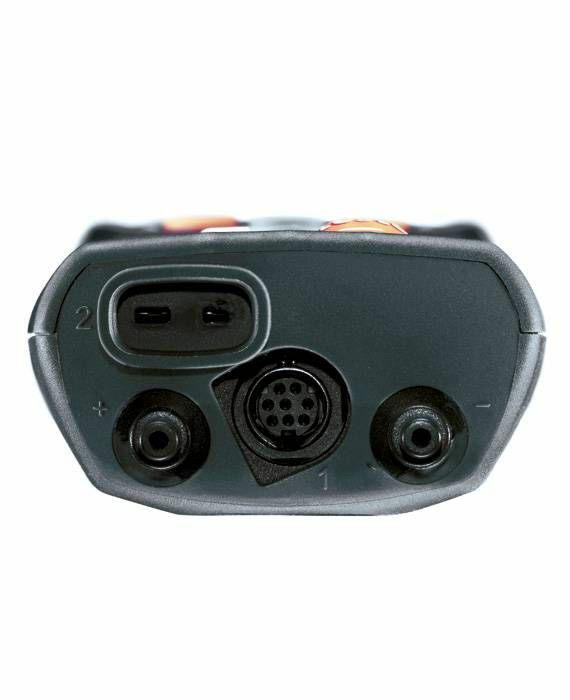 In addition to the sensors which can be connected directly to the meter, you can also connect up to 3 wireless sensors via an optionally available wireless module. 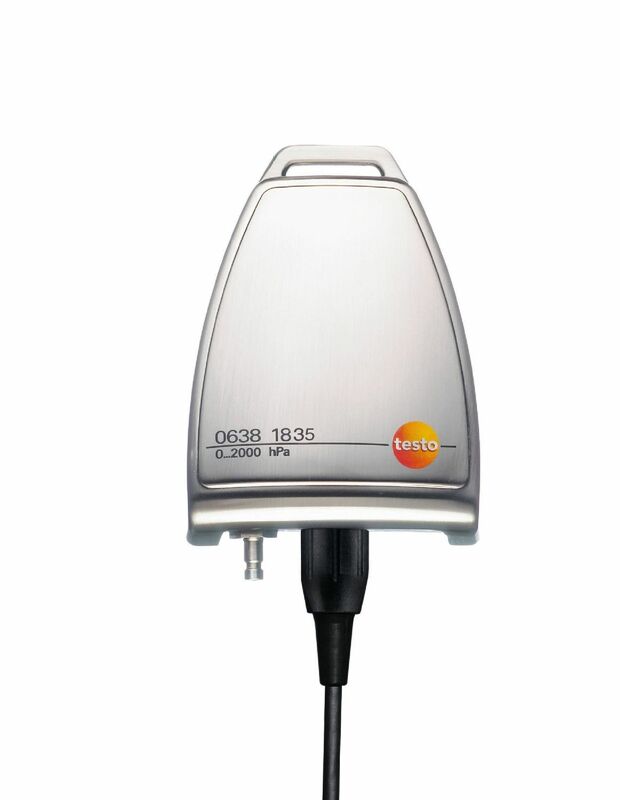 The meter can pick up the measurements via the wireless sensors over a distance of up to 20 meters. 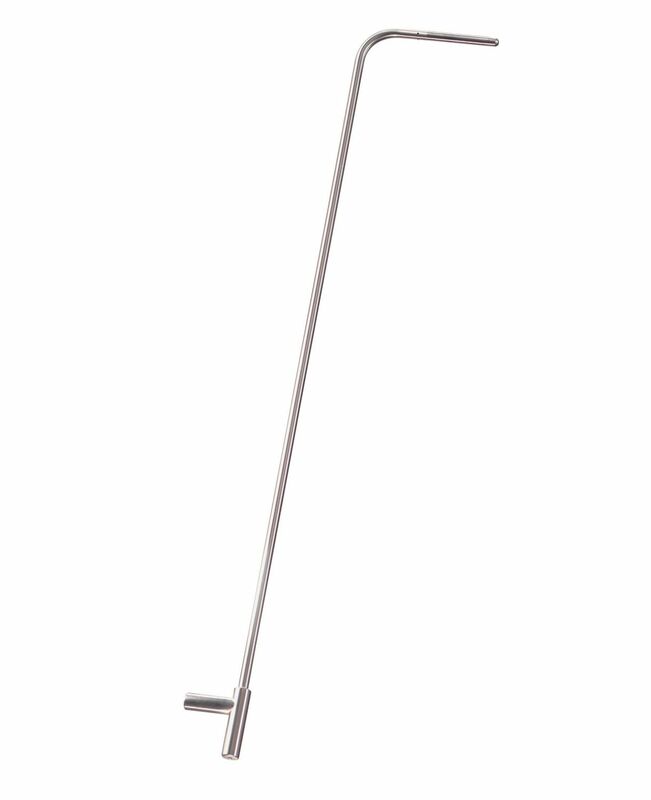 This allows you to carry out quick and easy measurements at places which would otherwise be extremely difficult or virtually impossible to reach. 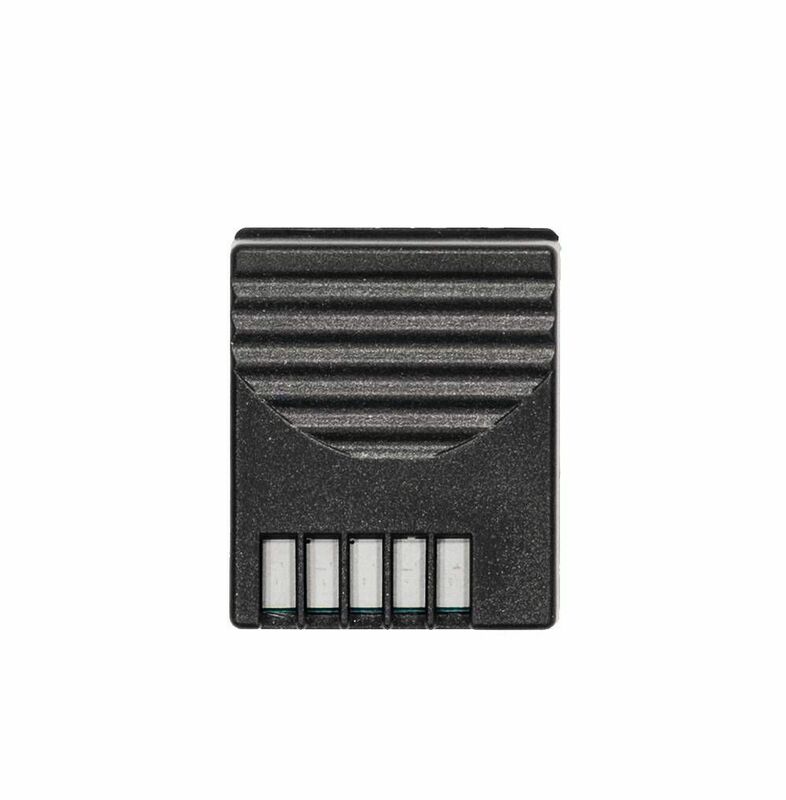 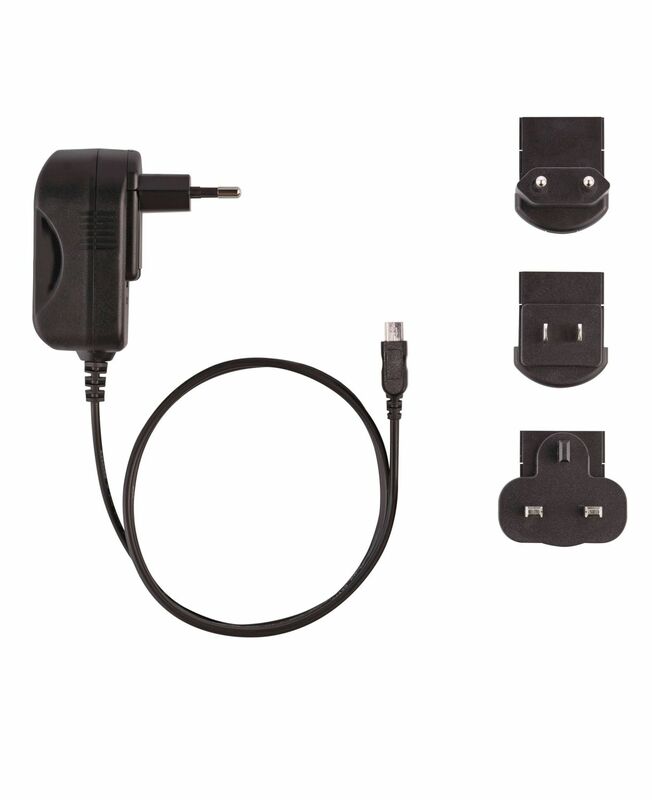 There’s also a special optionally available carry case that can hold not only your meter but also all the probes and sensors that make up your individual set. 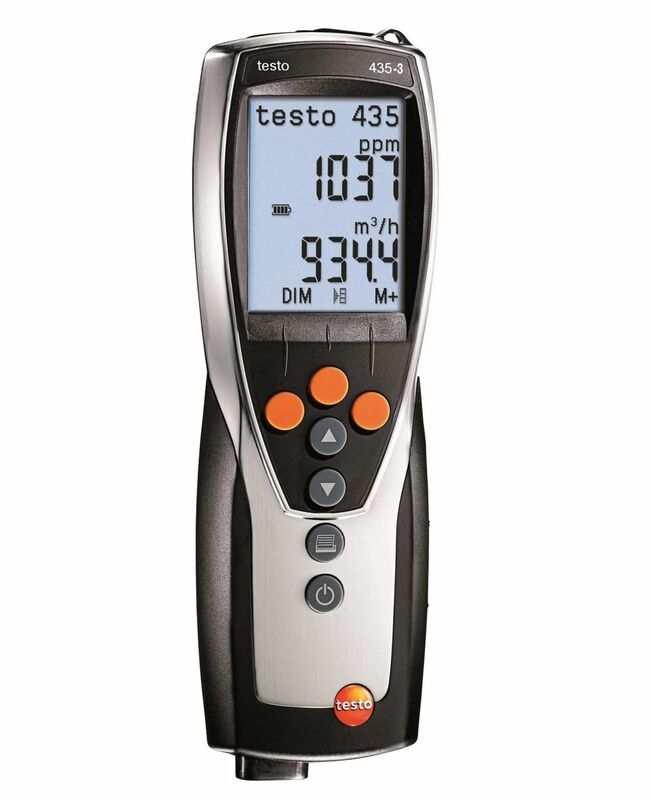 The testo 435-4 multifunction meter is designed to work quickly and efficiently without having to be laboriously programmed first. 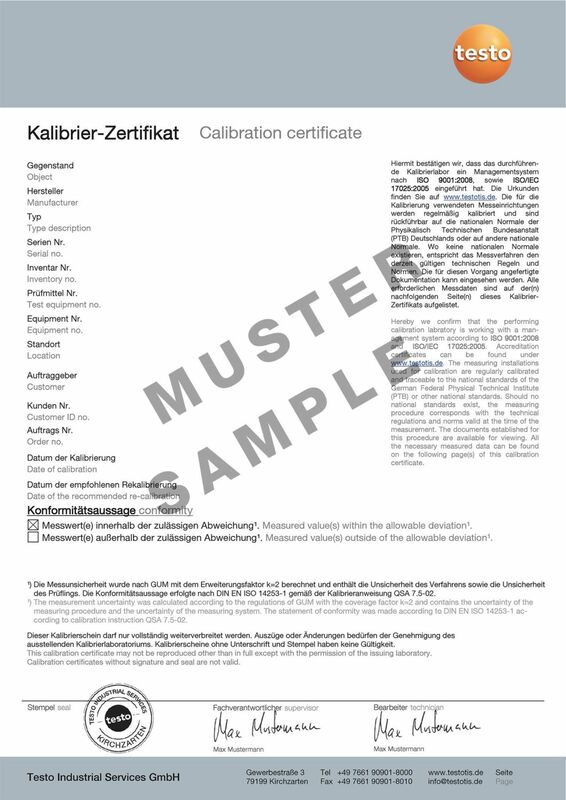 Sensor dependent menus and selectable user profiles for typical applications like “duct measurements” and “IAQ measurements” ensure that the meter is always ready to use. 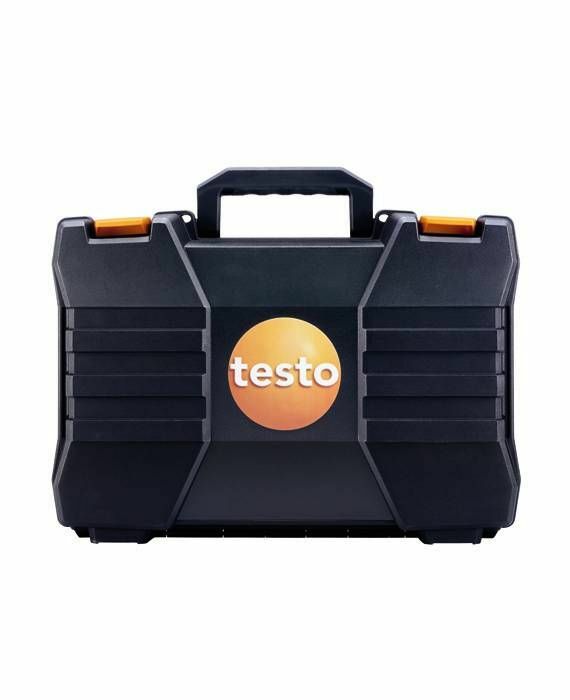 The testo 435-4 has a super-size memory that can save up to 10 000 measurements, which can be transferred to your laptop or PC via the included USB cable. 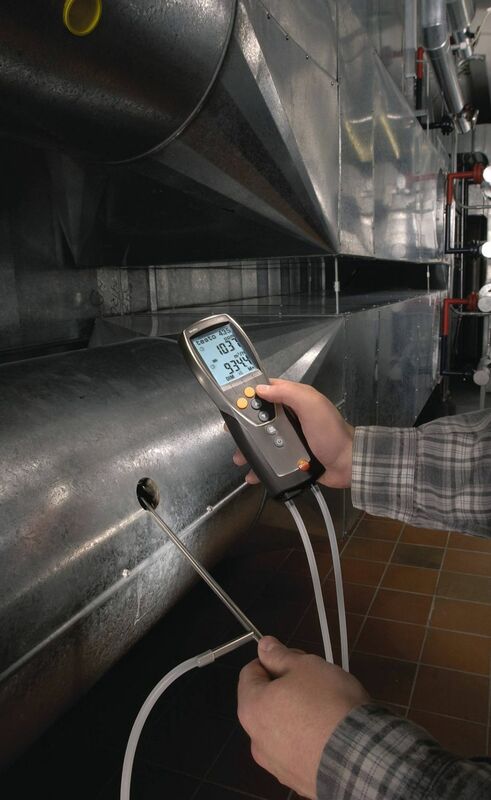 The included software allows you to log, archive and clearly structure all relevant measuring data and measuring programmes, for example duct measurements. 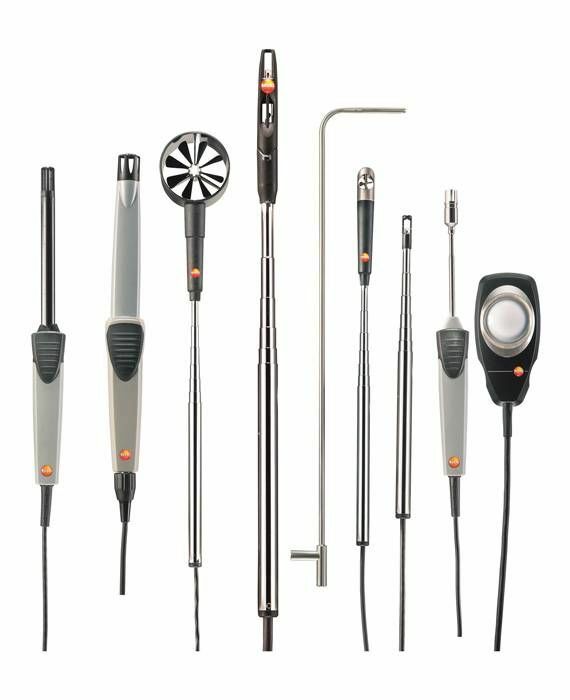 Specially adapted measurement protocols can be used to present your customers with data from duct, long-term and degree of turbulence measurements. 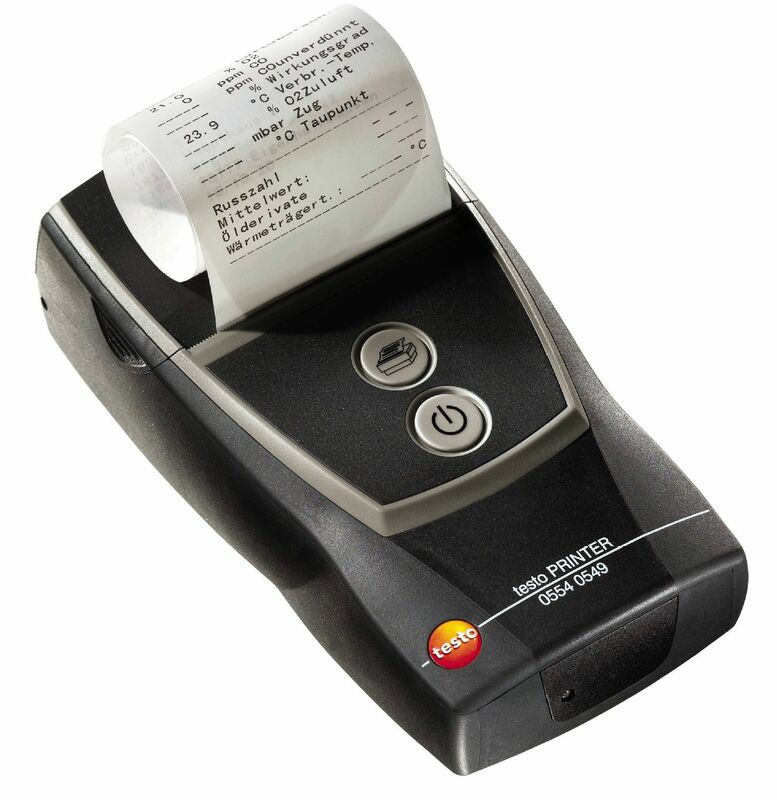 The optionally available testo fast printer can be used to provide your customers with on-the-spot protocol print outs. 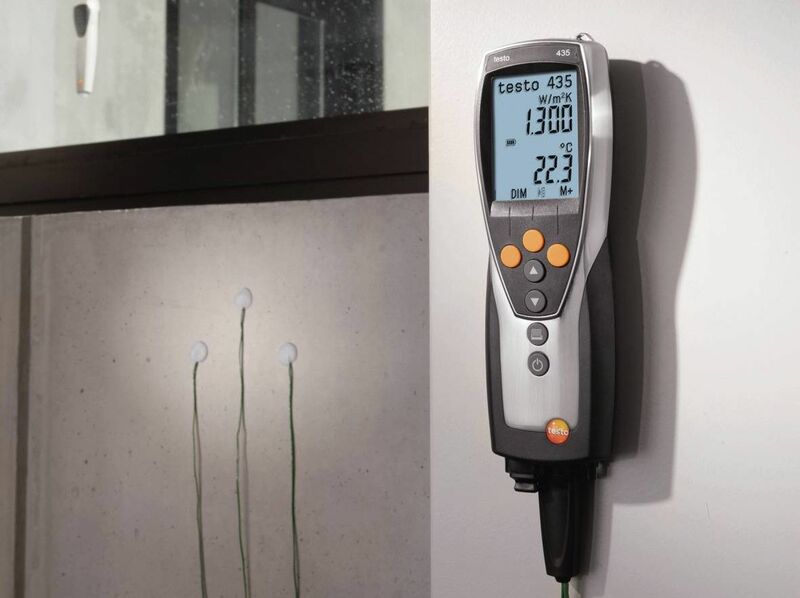 The testo 453-4 has a large, easy-to-read backlit display that shows the dew point difference along with other values including min, max and mean values. 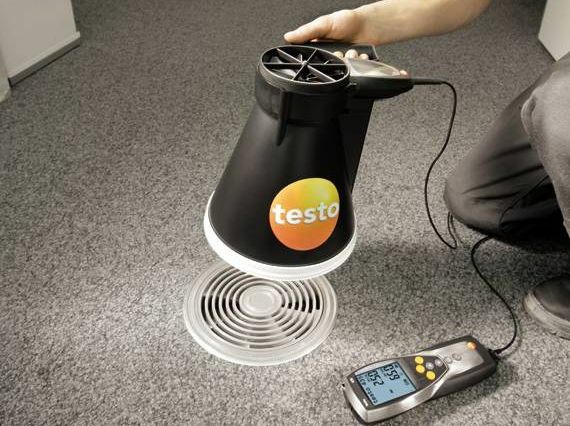 A durable protective cover protects the testo 435-4 multifunction indoor air quality meter reliably against impact. 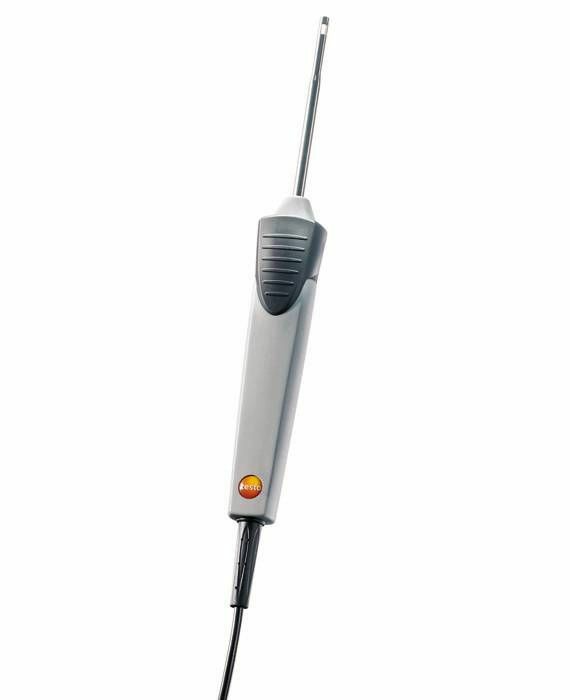 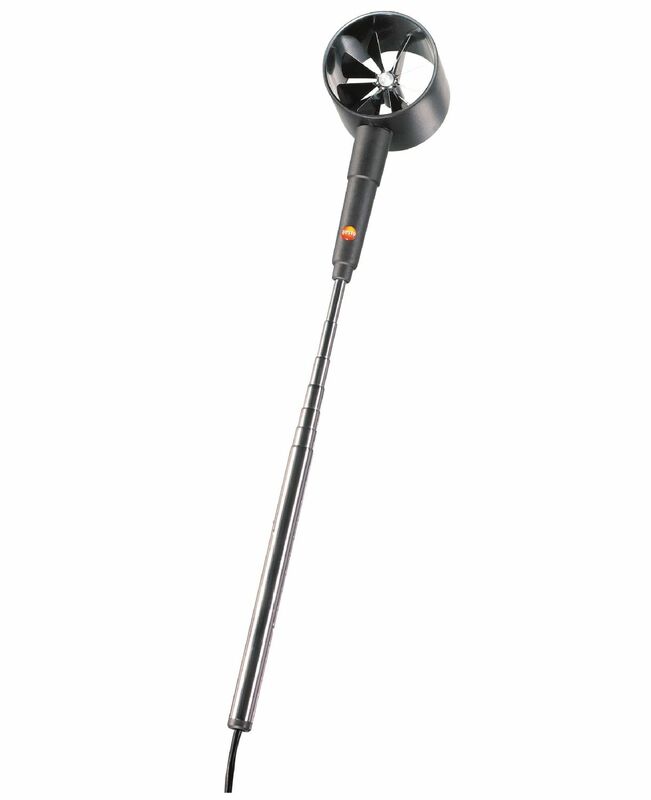 testo 435-2 and the Lux probe (order no. 0635 0545) can be used to measure and assess luminous intensity (natural or artificial light). 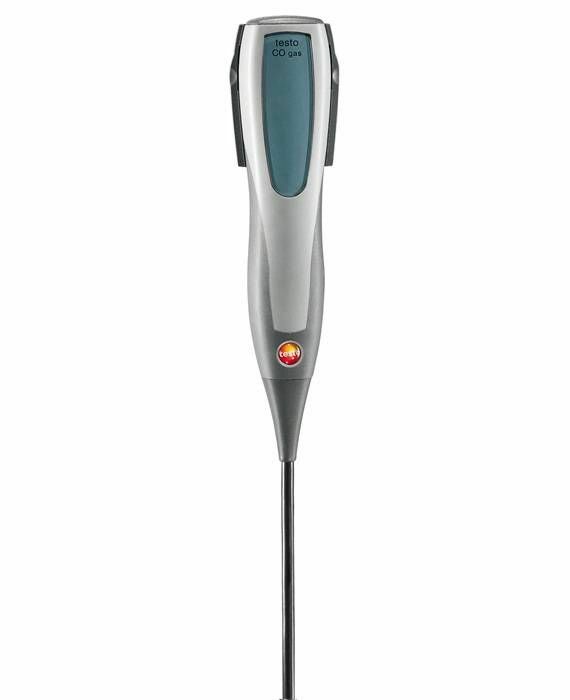 The air velocity in rooms directly affects thermal comfort. 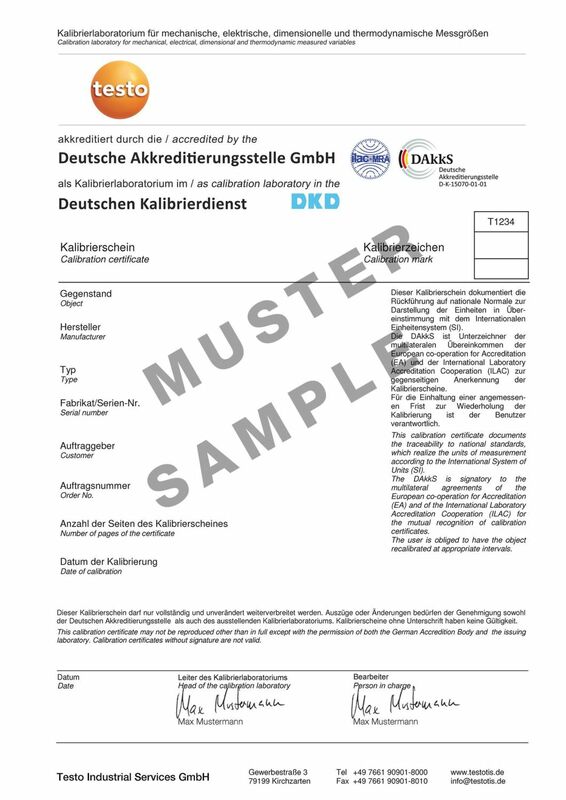 The turbulence and draught levels can be referred to in the assessment of comfort. 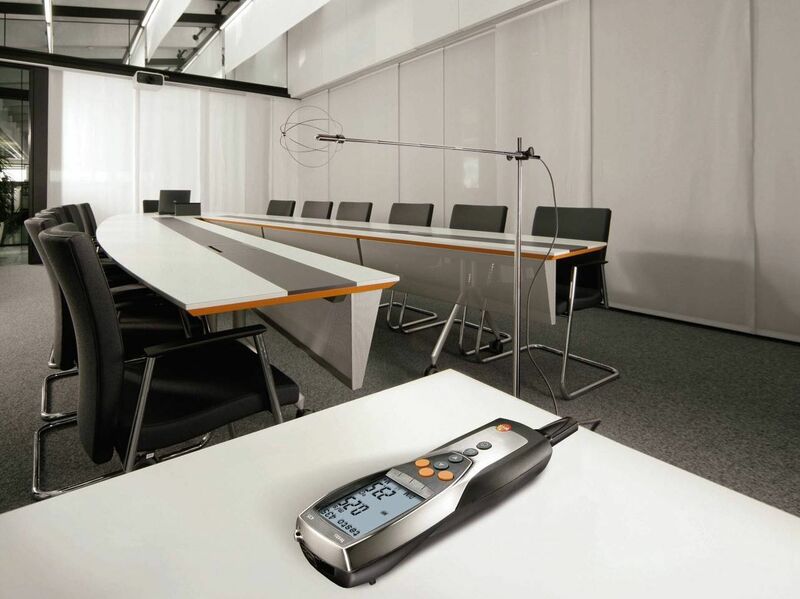 The level of turbulence indicates the air velocity fluctuation and intensity of air flow in a room. 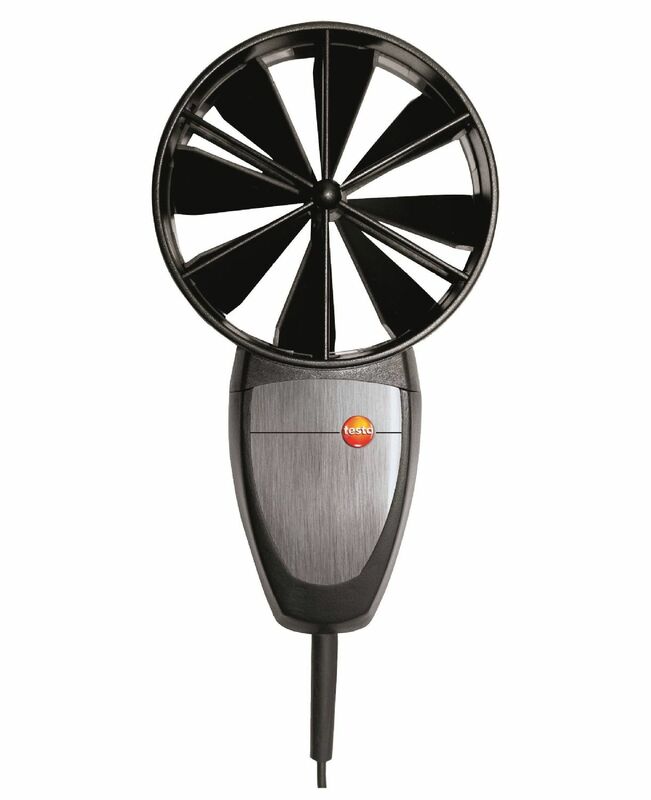 The draught rate can be generally understood as the unwanted cooling of the body due to air movement. 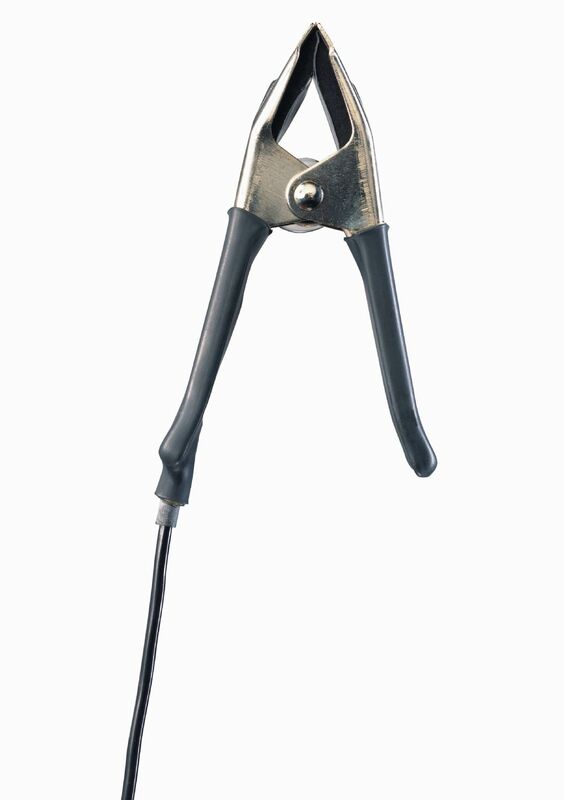 This is defined by the percentage of people who feel uncomfortable. 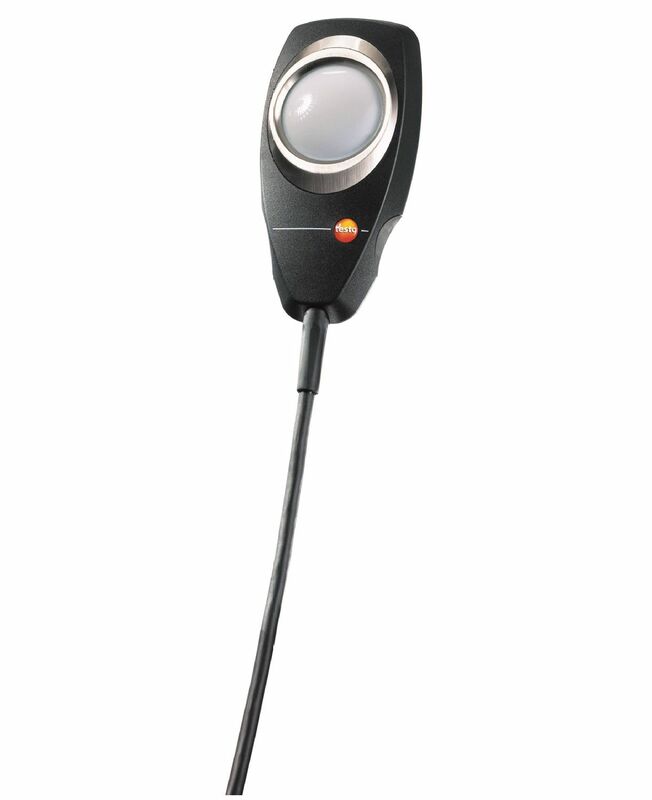 The non-directional comfort probe (order no. 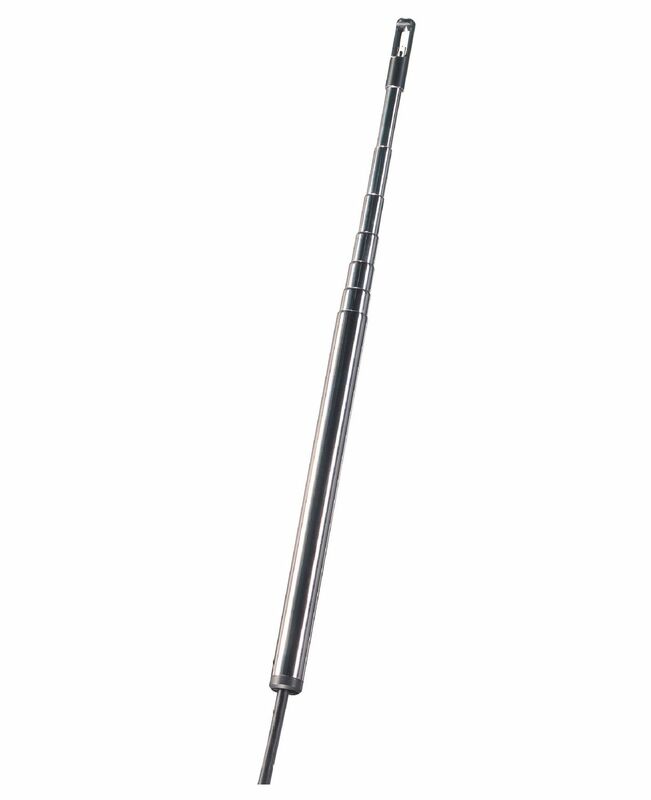 0628 0109) has been specially designed to measure the turbulence level in accordance with EN 13779, and to assess the draught rate. 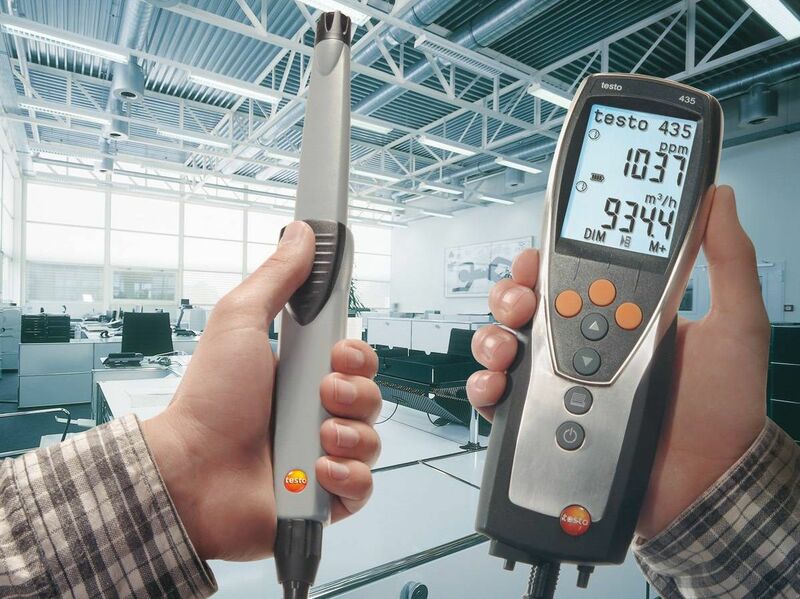 In conjunction with our multi-functional measuring instrument testo 435, standard-compliant measurement results can be analyzed directly in the device. When assessing thermal transmission, e.g. 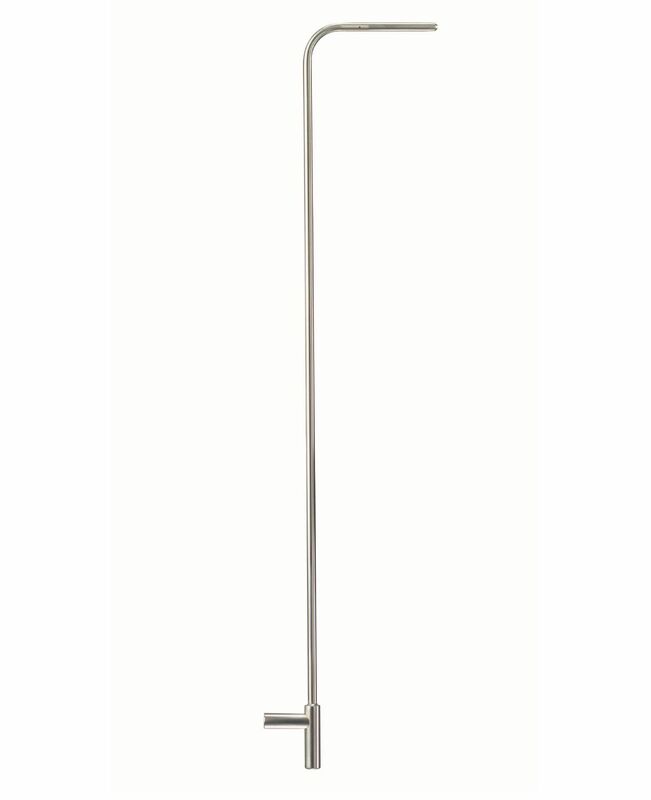 in old buildings in need of renovation, the U-value is one of the most important values. It enables thermal assessment, e.g. 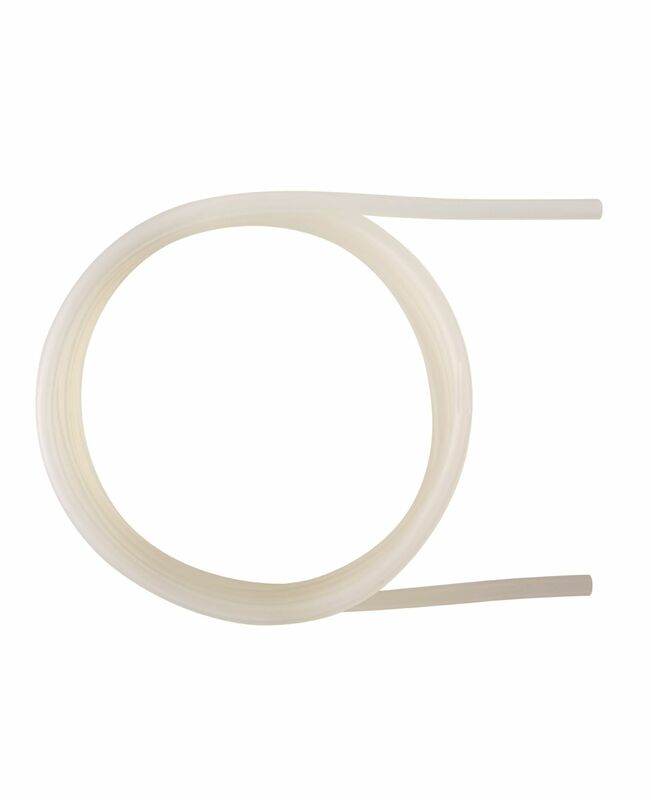 leaks or the smallest air flows at windows. 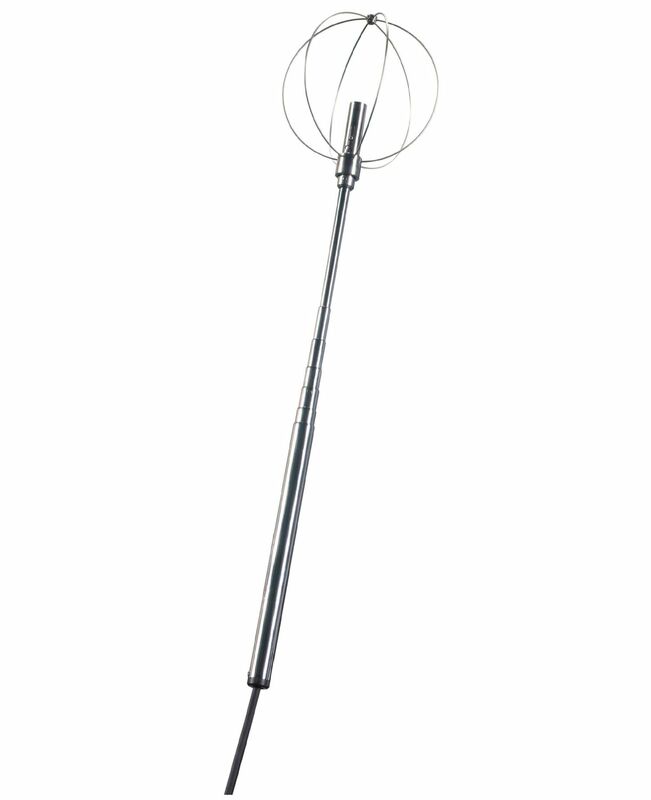 A radio probe is needed to determine the U-value (order number: 0614 1635); this is placed in position outside. 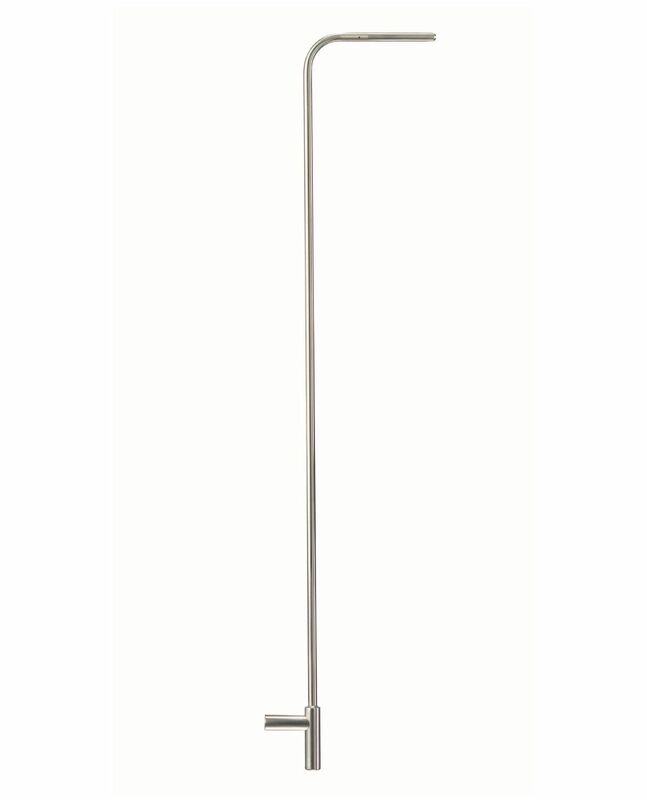 It transmits the readings to the measuring instrument inside. 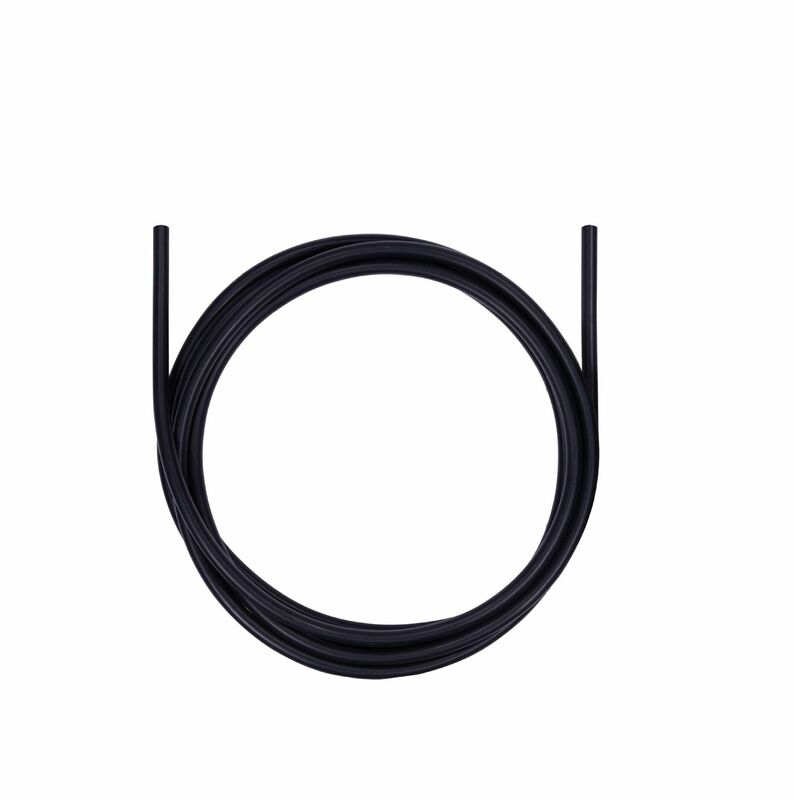 To measure the surface temperature the three wires of the U-value probe are attached to the wall with plasticine. 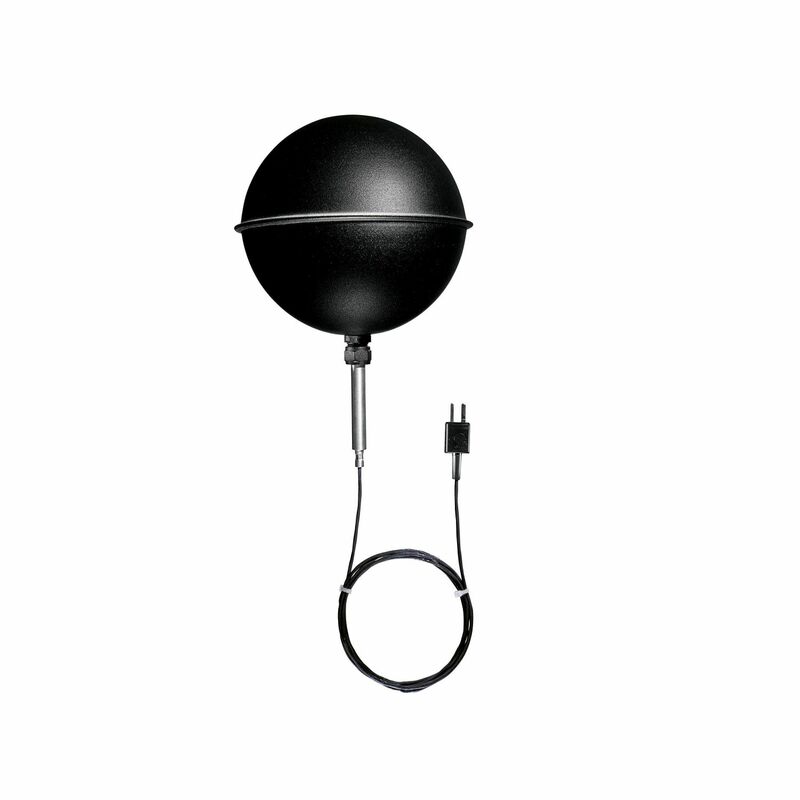 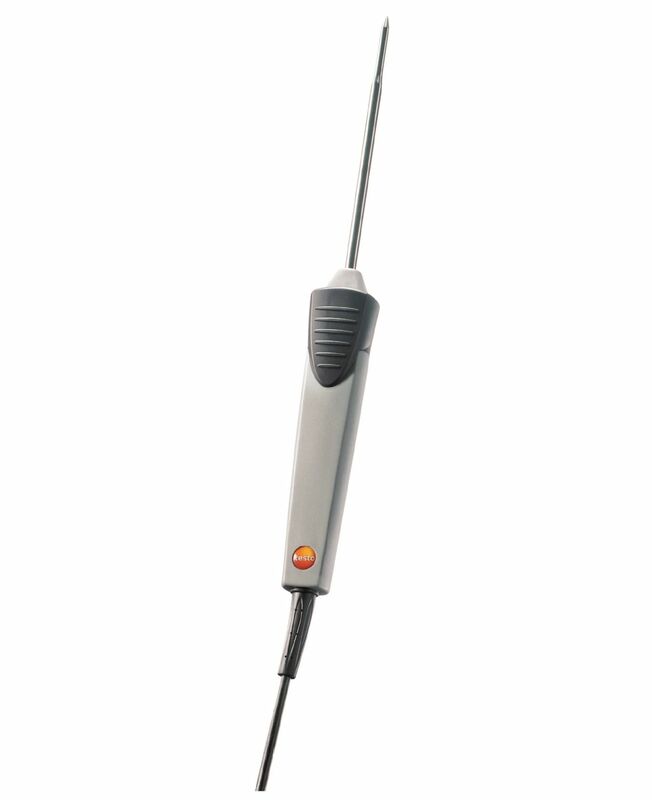 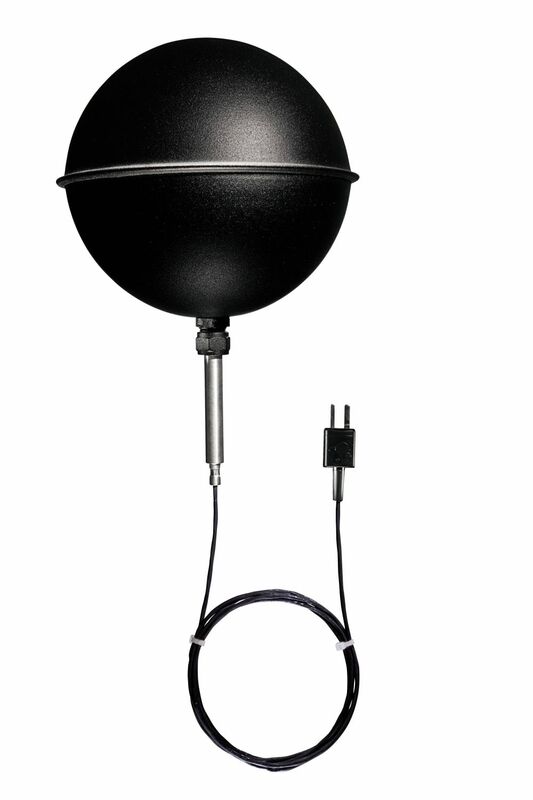 The air temperature is recorded by a sensor located on the probe plug. 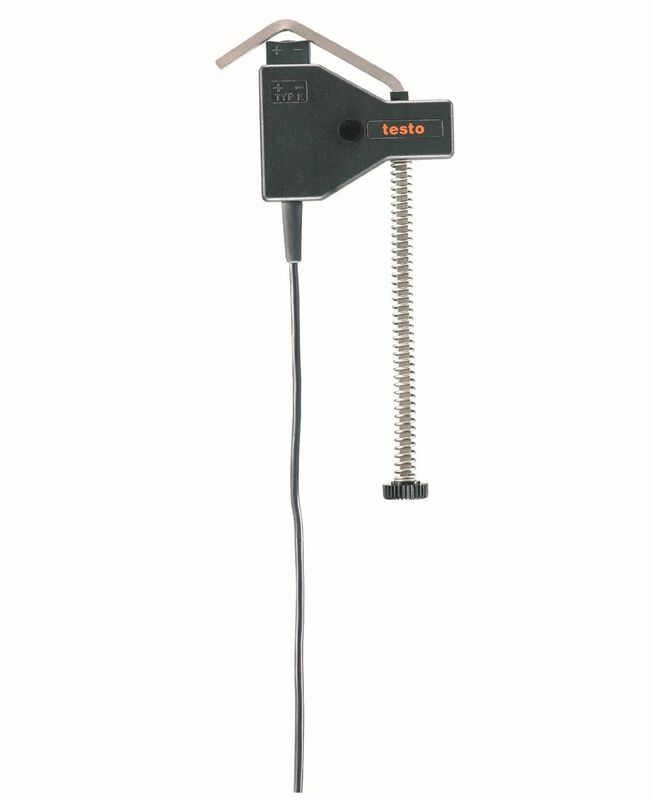 The measuring instrument testo 435-2 automatically calculates the U-value from the three values and shows this on the display. 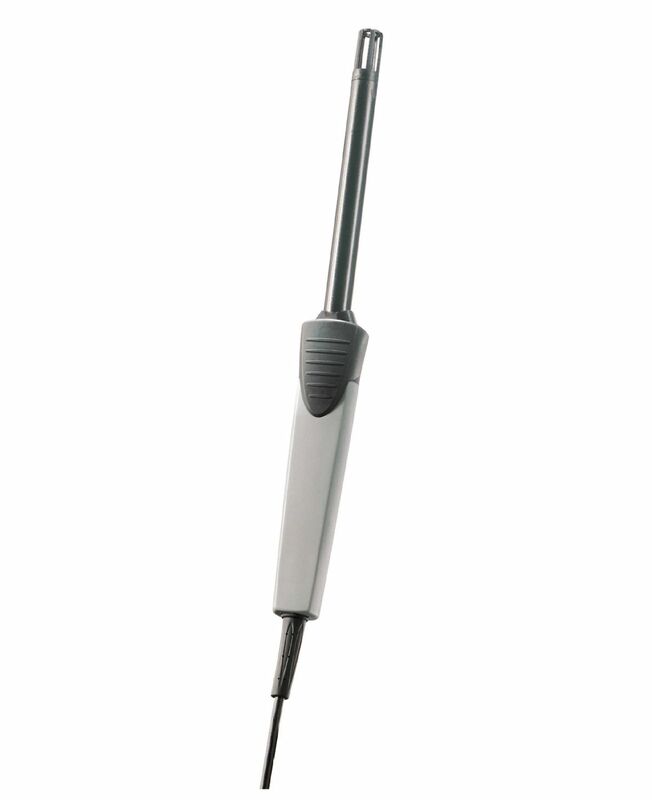 The advantage: there is no need for manual calculation; the result is quick and accurate. 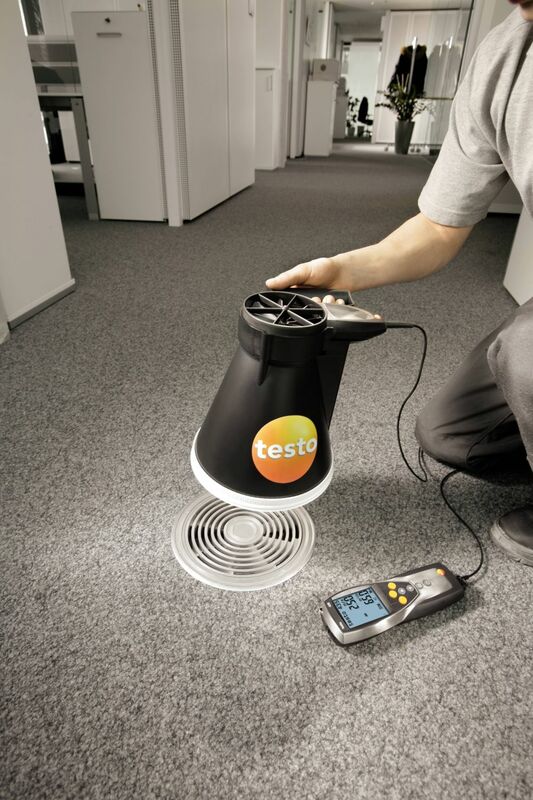 In short, the testo 435-2 allows you to calculate the U-value quickly and accurately, as well as measure parameters for air conditioning, ventilation, and indoor air quality.